Yakutsk geomagnetic observatory is located approximately 9.5 km South from the city of Yakutsk. It was founded in 1932 during the 2nd International Polar Geophysical Year as a magnetic station. In 1960 it was reorganized into the Laboratory of physical problems of the Yakutian branch office of the Siberian branch of RAS. In 1964 the observatory was relocated 10 km South from Yakutsk, and its registering hardware was updated. Data archive of the observatory includes magnetograms since 1933. In 2007 the magnetic observatory was equipped with modern magnetometers in terms of scientific collaboration with the Helmholtz-Zentrum Potsdam Deutsches GeoForschungsZentrum (GFZ). 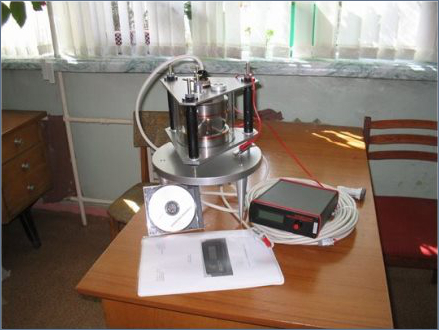 The Yakutsk observatory has been participating in the INTERMAGNET project since 2010. All observation pavilions are made of wood. They are located in 1 km from the main building. 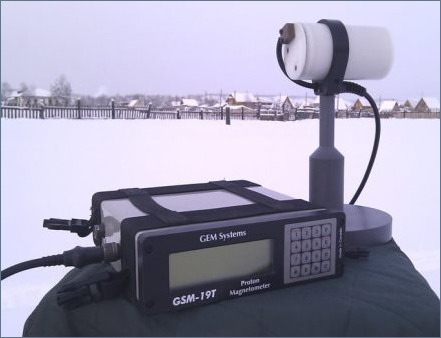 Magnetometric hardware includes the MinGeo THEO020B D/I theodolite, the FGE vector magnetometer, two Overhauser proton magnetometers GSM-19 and GSM-90 and the data logging block. 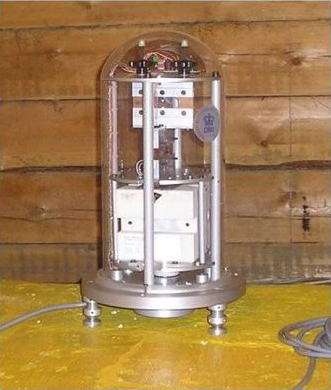 THEO020B provides the accuracy of 0.1 arc minute in the range of ±90° for absolute declination and inclination measurements. 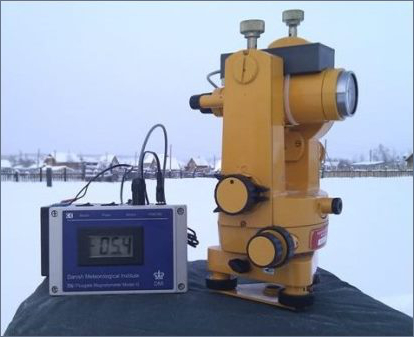 The FGE vector magnetometer registers the variations of three components of magnetic field (H, D, Z) with an accuracy of 0.1 nT in a range of ±10000 nT. Proton magnetometers are used to determine the total magnetic field F with an accuracy of 0.1 nT in a range of 18000 to 150000 nT. 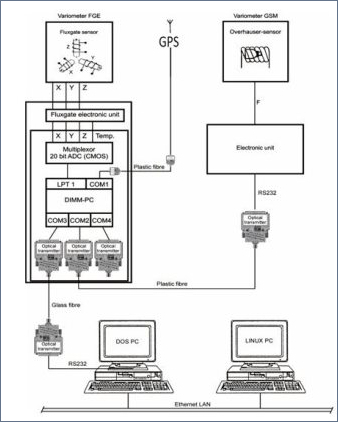 The MAGDALOG data logger performs synchronized data gathering from the scalar and vector magnetometers. Data transmission to the main institute is performed via the wireless connection.